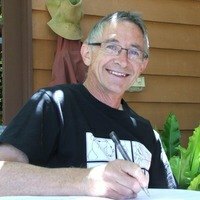 Ian Trevaskis lives in a small rural town in north-east Victoria where he is a full time writer after spending forty years as a primary school teacher. Now that his four children have grown up and left home he is able to devote more time to his writing. 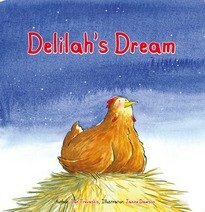 Delilah’s Dream was inspired by the Rhode Island Red hens that Ian’s daughter, Liz kept when she was at Secondary College. Ian often wondered if they dreamed of a life more exciting than scratching in the dirt every day. Two of his picture story books, Quincy and The Postman’s Race have been awarded the Children’s Book Council of Australia’s ‘Notable Australian Book’ award and he has been published in New Zealand, the United Kingdom and the United States of America. When he is not writing Ian enjoys long bike rides with his wife, skiing the back country of the Bogong High Plains and bush walking.